As great as the best Barolos and Barbarescos are, Piedmont also offers a huge range of more affordable everyday wines that capture all of the virtues of one of the world’s indisputably great wine producing regions. With its numerous, small, family-run estates, Piedmont is Italy’s answer to Burgundy. Although Barolo and Barbaresco get most of the attention, Piedmont’s everyday wines are every bit as compelling. Readers will find a wide range of fabulous Arneis, Dolcettos, Barberas, Nebbiolos and Moscatos in this article, many of which sell for well under $25.00 a bottle. For a quick primer, readers might also enjoy this short video. As in Burgundy, the key to getting the most out of Piedmont is to focus on the very best estates and their entry-level wines. If a producer makes a great Barolo or Barbaresco, chances are good their simpler wines are made with every bit as much care. That is certainly the case among Piedmont’s elite producers. Dolcetto d’Alba doesn’t get a lot of love, but the best wines are distinctive and full of personality. Dogliani, where Dolcetto is King, is home to the biggest and richest versions, as Dolcetto is planted in the very best sites, something that is rarely, if ever, the case today in the Barolo and Barbaresco production zones. The best Dolcettos are intense, deeply mineral and fabulous wines for the dinner table. Barbera takes on many shades of expression, depending on where it is planted. In Asti, Barbera is usually intensely mineral, complex and structured to the degree that the best wines need and benefit from bottle age. Barberas from Alba are generally juicier, rounder and more immediate. 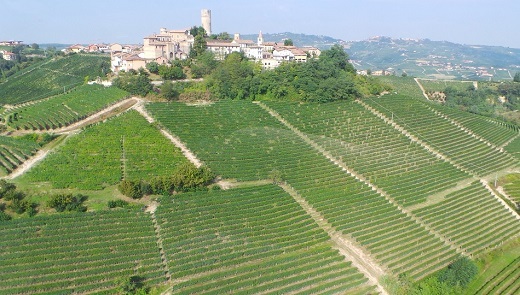 The hottest category in recent years is Langhe Nebbiolo. When the global economy slumped a few years ago, many growers responded by being more selective and increasing the quality of their entry-level Langhe Nebbiolo, which has resulted in a number of very serious wines that over deliver relative to their price points. Nebbiolos from in and around Alba tend to be a little more floral and less structured but here, too, there are plenty of fabulous choices. Arneis, which thrives in Roero, is a great, perfumed white suited to drinking before a meal or with lighter courses. Is there a better way to end a Piedmontese meal than with a glass of Moscato d’Asti? I don’t think so. The best Moscatos capture the universal values that make wines great; well suited sites, careful farming, attention to detail, and of course, the inspiration of a passionate grower focused on producing only the very best. Many of Piedmont’s best, budget-friendly wines are found in Roero, which lies just a few kilometers from Barbaresco, but is very much its own place. New releases from Roero are reviewed in this article, but as we continue to move towards more streamed coverage at Vinous, the wines of Roero will be covered separately beginning in 2014. Many of the wines in this article are 2012s. The 2012 Dolcettos are generally light to medium-bodied wines with considerable aromatic presence, but less depth and richness than in recent years. Readers who like fragrant, mid-weight Dolcettos will love the 2012s. In a way, the 2012s remind me of years past, before global warming was an issue, as the wines are generally graceful. A number of growers mentioned rains just before the Dolcetto harvest as the main reason the wines are a bit feminine in 2012. Based on the wines I have tasted so far, 2012 is much stronger for Barbera and Nebbiolo. The best 2012 Barberas have gorgeous aromatics, expressive fruit and terrific balance. Here, too, the Barberas are definitely on the more medium-bodied side of things, but at the same time, the 2012s that have been bottled are generally the simpler wines that are aged in steel or neutral oak. I will have a clearer idea of the vintage when the more structured 2012 Barberas are released next year. Most of the Langhe Nebbiolos in the market today are 2011s, a vintage that produced silky, soft wines with a lot of approachability and early appeal. The 2012 Nebbiolos I have tasted are all beautifully perfumed and graceful, with plenty of accessibility and more freshness than the 2011s.